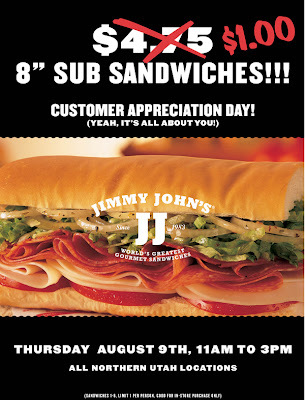 $1 8" Subs at Jimmy Johns in UT and Spokane! 11 am to 3pm TODAY! Wahoo!! 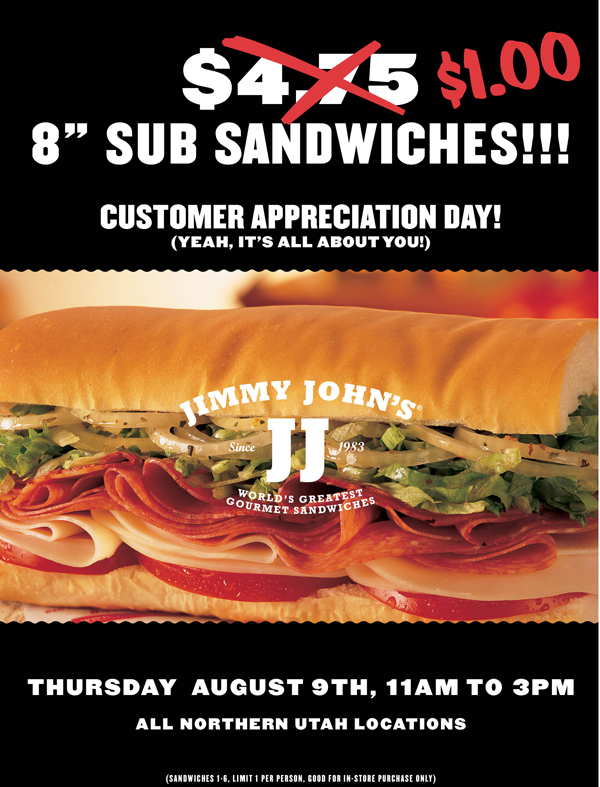 Here is a the list of Participating Jimmy Johns in UT and Spokane!